We've just added a handful of new products, made by our friends at Fred and Friends. You may know that we already stocked a number of Fred's useful-yet-novelty gifts (see them all over on the ZooHood/Fred page here). The new additions are just as cool, kitsch and rather good animal-themed gift ideas. We absolutely love these guys, and have already been having fun with them ourselves. 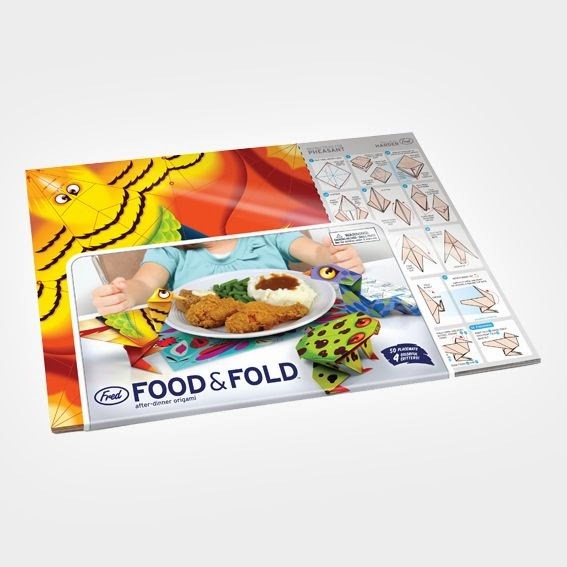 It's a 50-pack of paper place mats - use them for your dinner and then, when all the food is finished, the mats can be made into animal origami. 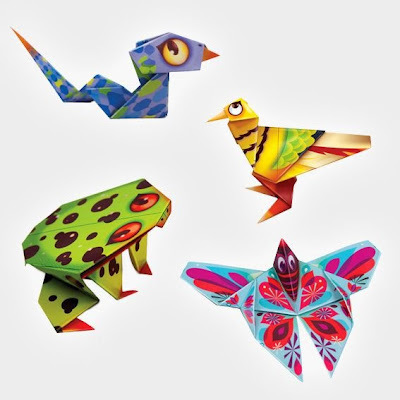 There are 4 animals to make and each comes with detailed instructions. A great gift and a perfect way to keep the kids entertained at dinner time. 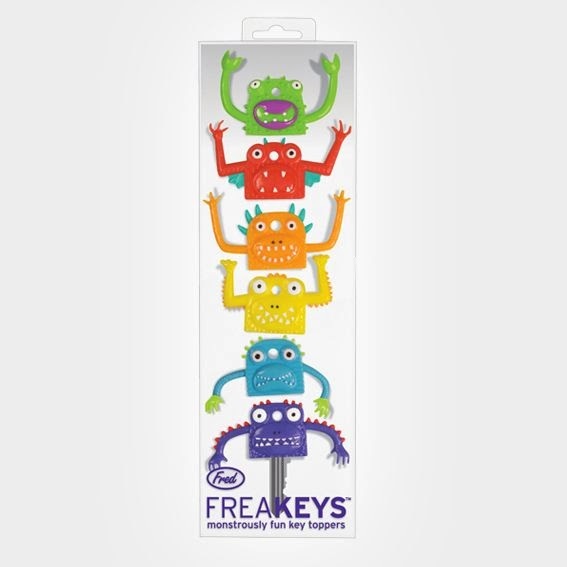 You guys seemed to really enjoy the Monkey Key Caps that we have stocked for a while, so we're really pleased to add the Freakey Monster version too. As key caps, they sit on top of your keys, either to colour-code them or just to make them look hilarious. 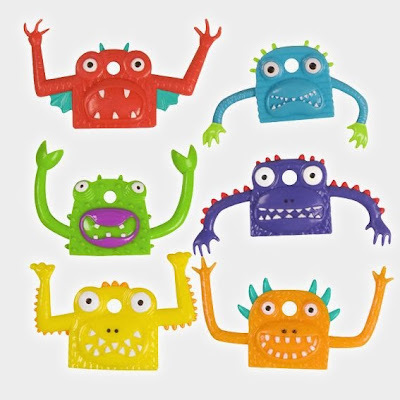 It's a pack of 6 different monsters, each a different colour with a different facial expression. Possibly the best thing about them is the wiggly arms - like the thumb-puppet toys we all had as a child. This last product is a tea infuser that looks like an octopus - an "Octeapus" if you will. The pun probably came before the product was designed, but don't let that fool you - it's a really good quality product and a handy thing in any tea drinker's arsenal. 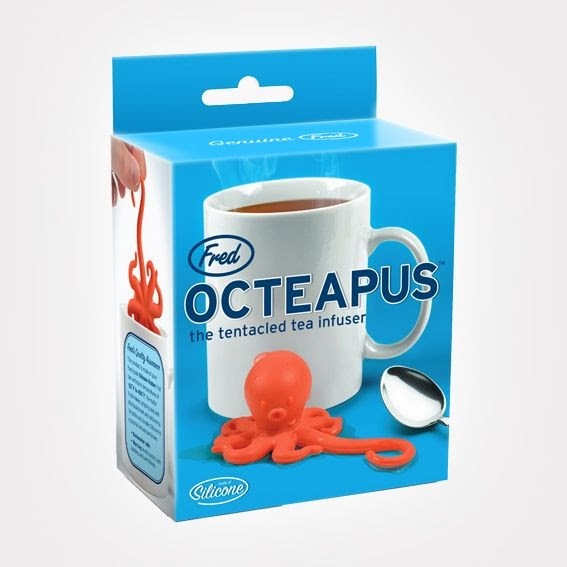 It's made of silicon rubber and the loose tea fits inside the octopus's head. 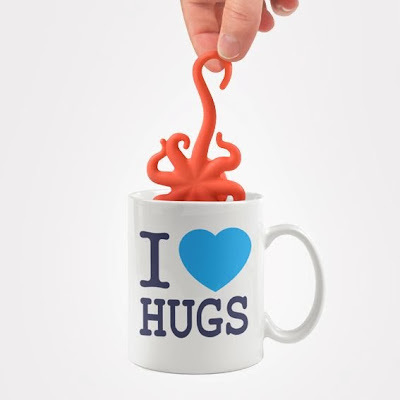 It has one extended tentacle which is used as a stir handle and creeps over the side of the mug.